Horses come before cars as they cross the street in Port Hercule. 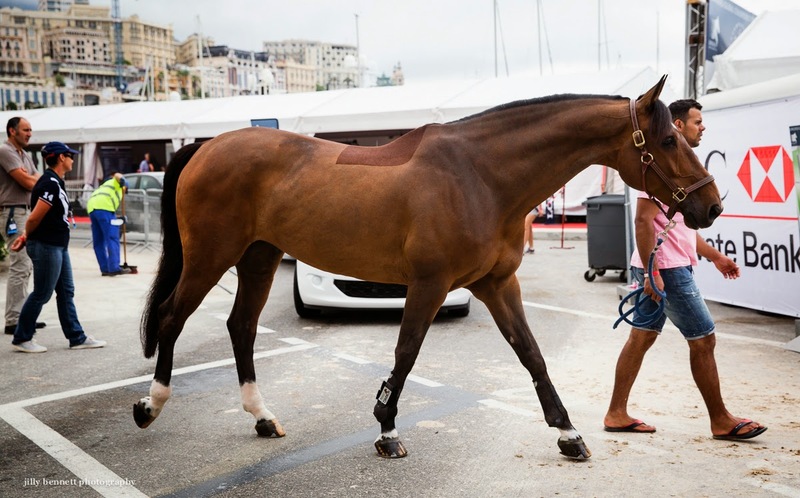 This beauty was in Monaco last month for the Show Jumping Championships. 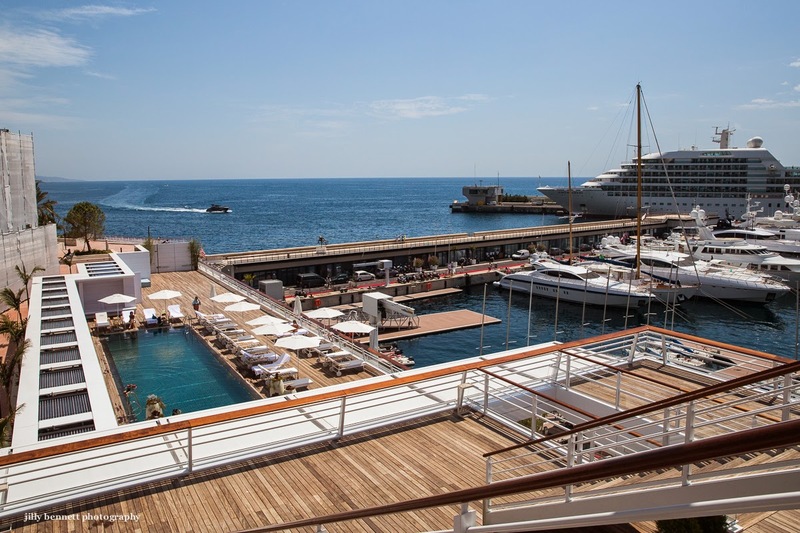 We're at the new Monaco Yacht Club today. There is a restaurant on this level and another on the highest level. As you can see, it's built like an ocean liner. See this POST. Don't panic! This isn't Monte Carlo! 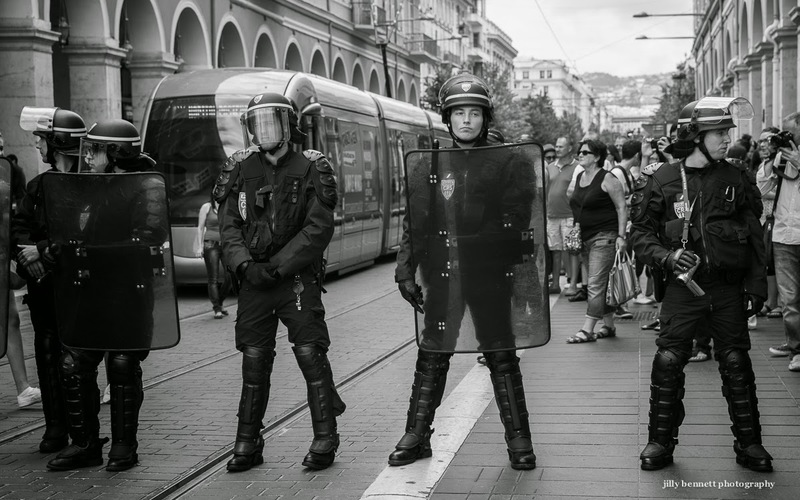 It's Nice yesterday where police were out in force to prevent a 'Free Palaestine' protest from entering Avenue Jean-Médecin. 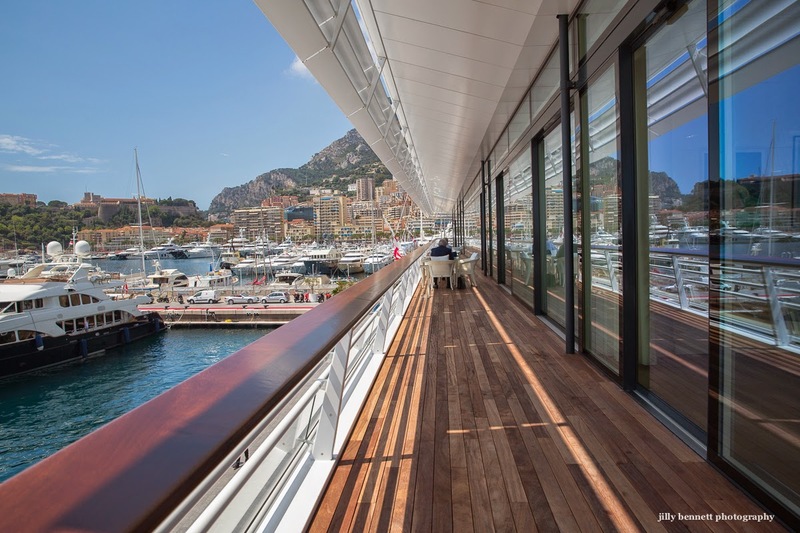 The new Monaco Yacht Club is finally open. Looks like a cruise liner, doesn't it? It had its grand opening on the 20th June with 3,000 guests including the Princely family of course. 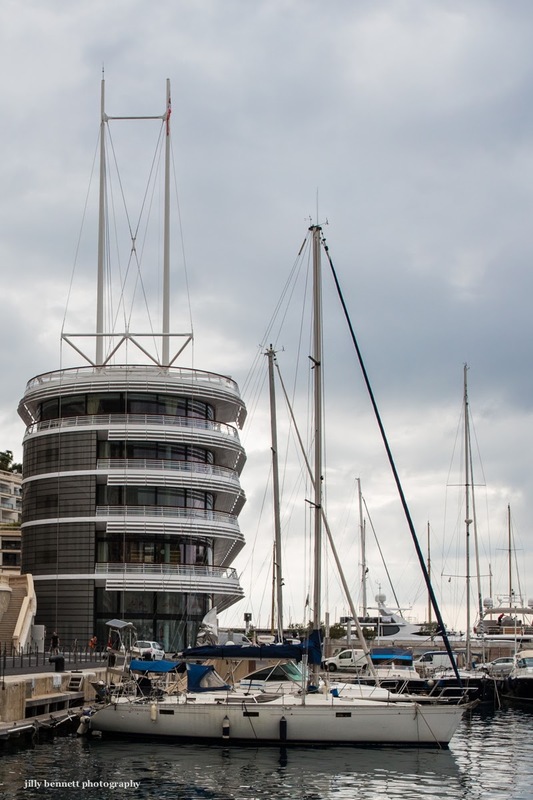 It was designed by the studios of leading British architect, Lord Norman Foster, in collaboration with Monaco-born architect, Alexandre Giraldi, and is the new headquarters for the Monaco Yacht Club (YCM).